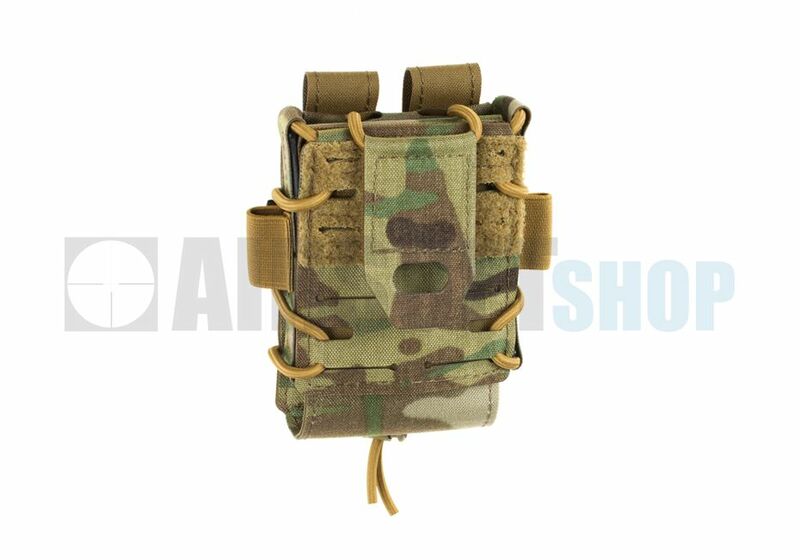 Templar's Gear Universal Radio Pouch (Multicam). 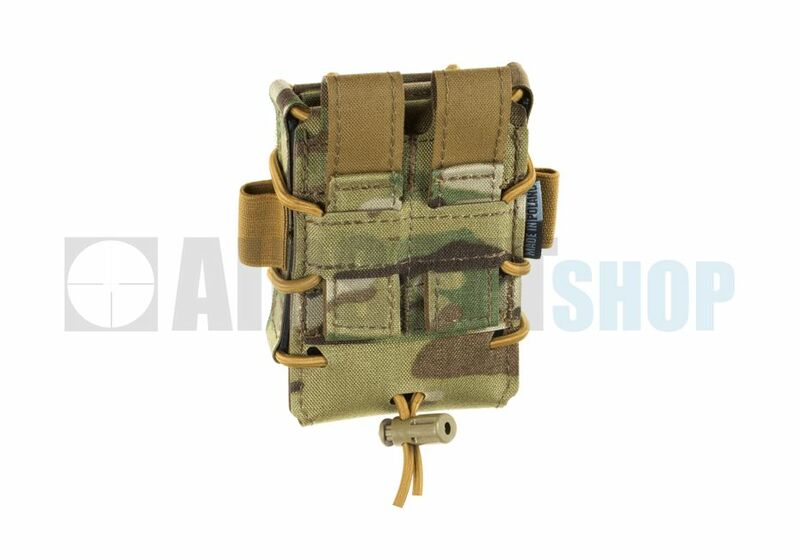 A new radio pouch from Templars Gear company, designed to carry almost all PMR models. 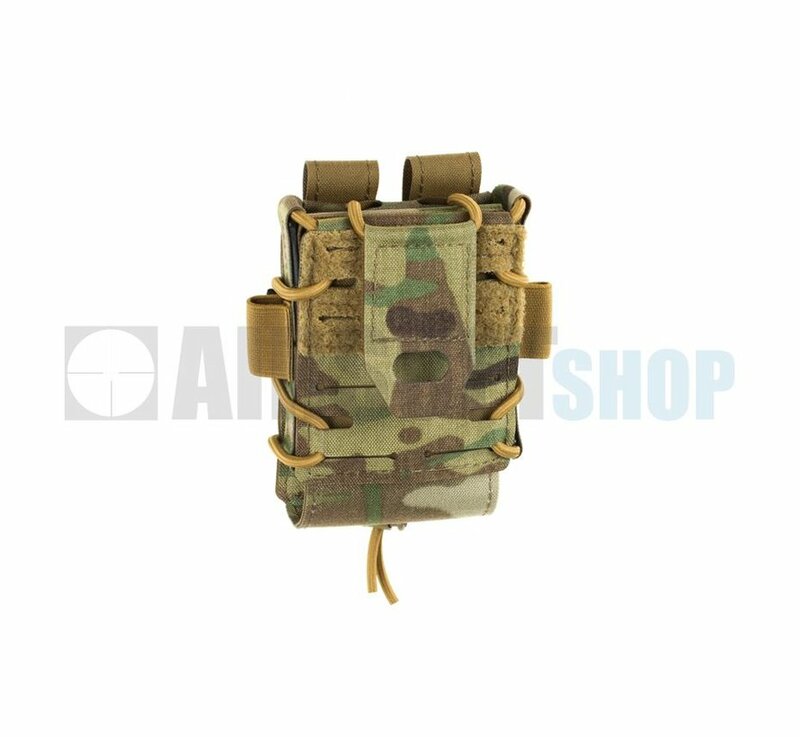 Simple, one chamberconstruction is made of highly durable Cordura 500 laminate with IRR treatment and plastic frames. Sophisticated design and used high quality materials ensure both mechanical strength and comfort during use. 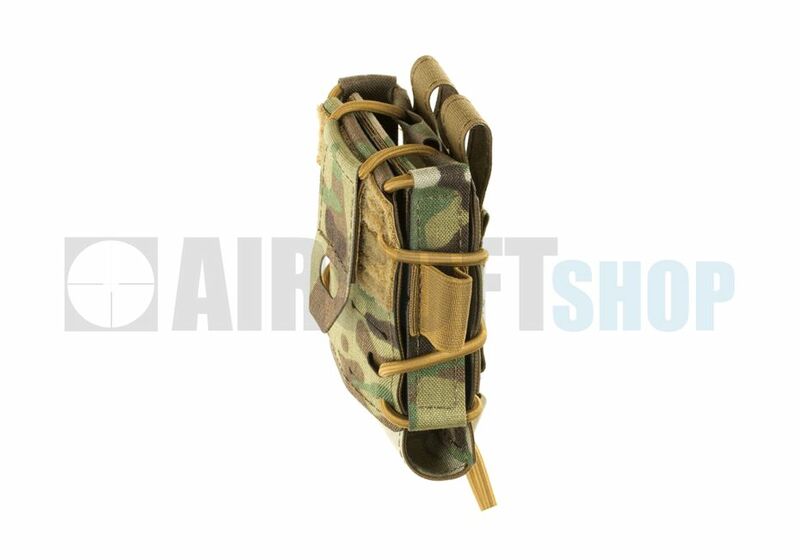 A very importantelement of the pouch is regulated system that prevents accidental magazines loss. This system is based on an adjustable shock cord and velcro patch. 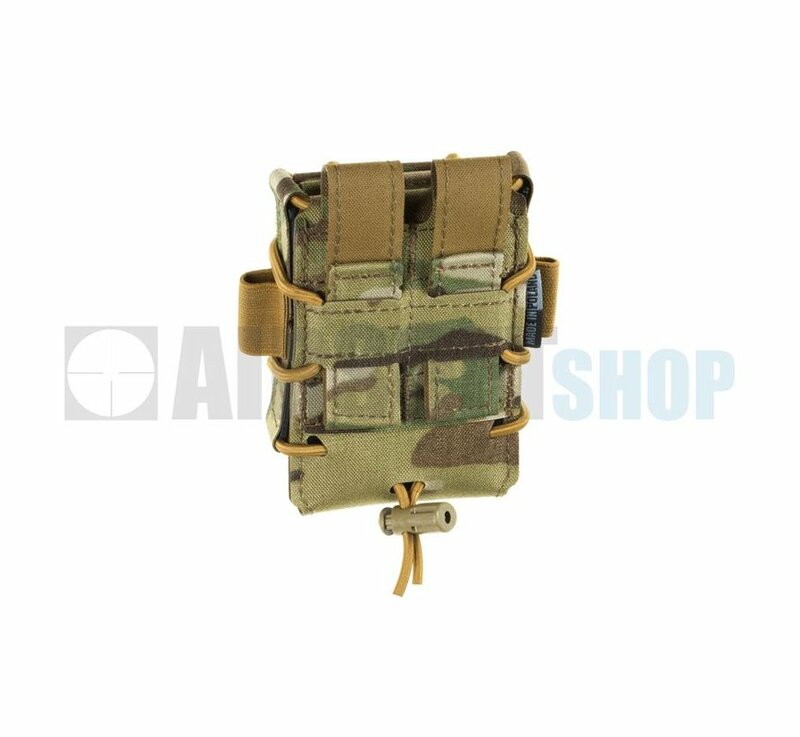 In addition, the lower part of the pocket is adjustable with a velcro, which allows you to adjust to the length of the radio. 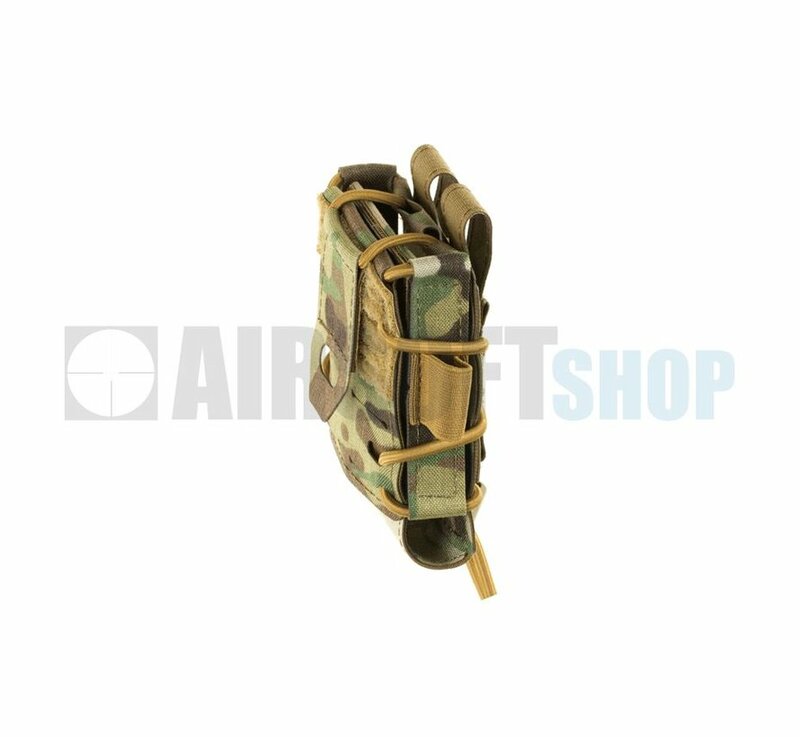 Symmetrically on the lateral frames there are through and flexible loops that can be used to carry longitudinal objects or to organize the cables. Pocket attachment system is based on twostraps, allowing you to attach on vest or belt MOLLE panel.